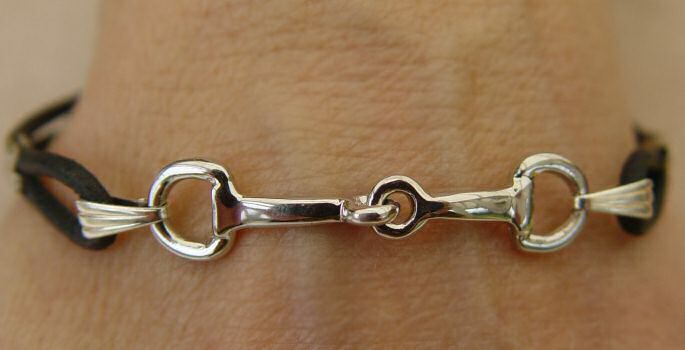 Black leather wristband with a silver plated Snaffle Bit. 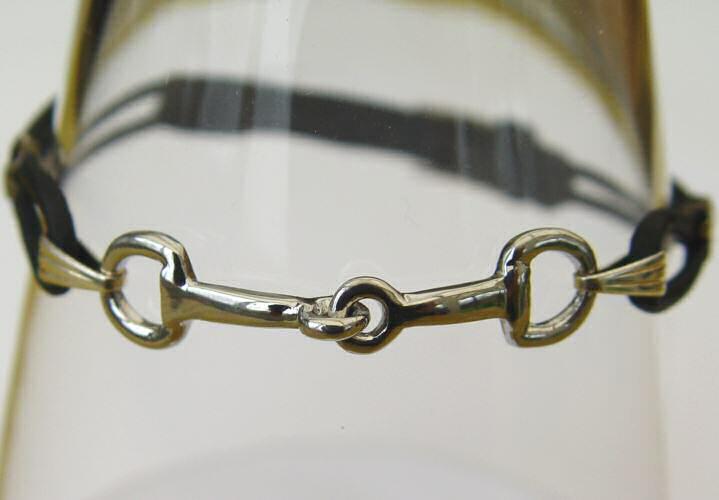 Secure buckle fastening means the bracelet is adjustable between 18cm (7") and 20.5cm (8"). 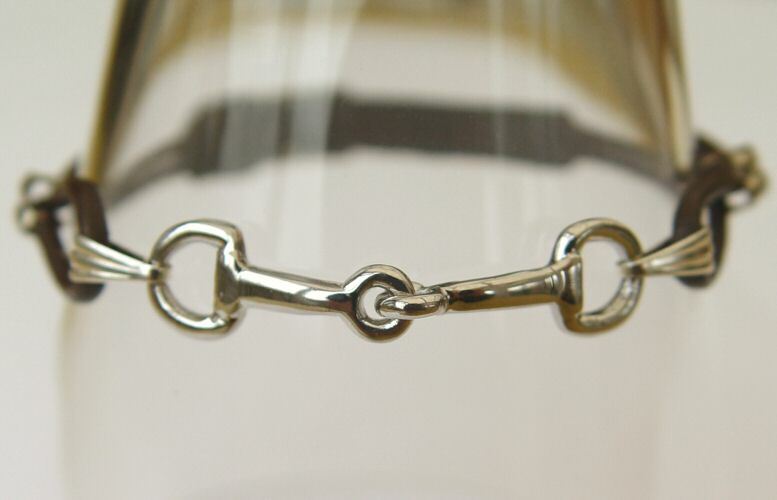 A silver plated snaffle bit on a double-strand black suede bracelet - adjustable between 19cm - 24cm. 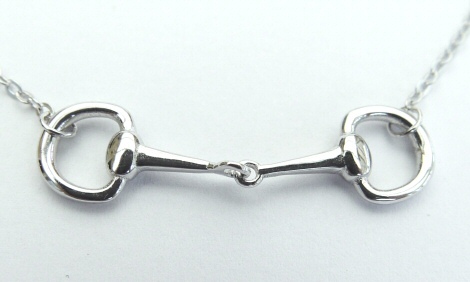 Sterling Silver Snaffle Bit Bracelet: a delicate bracelet featuring a silver snaffle bit within a fine silver curb chain bracelet.